Home Say I love hue! Unless you’re single of course, in which case you should probably start deciding what you’re going to buy yourself. Because nobody should go without. And if you’re wanting something a little out there while still sticking to a traditional vibe, Morrisons has launched rainbow roses, and they’re seriously pretty. Launched as part of Morrisons’ The Best range, the Rainbow Rose was released from February 11. It comes in partnership with LGBTQ+ youth homeless charity The Albert Kennedy Trust. Each limited edition rose costs £4, with 50p from each sale being donated to the charity, which provides safe homes and support to young people who identify as lesbian, gay, bi or trans. 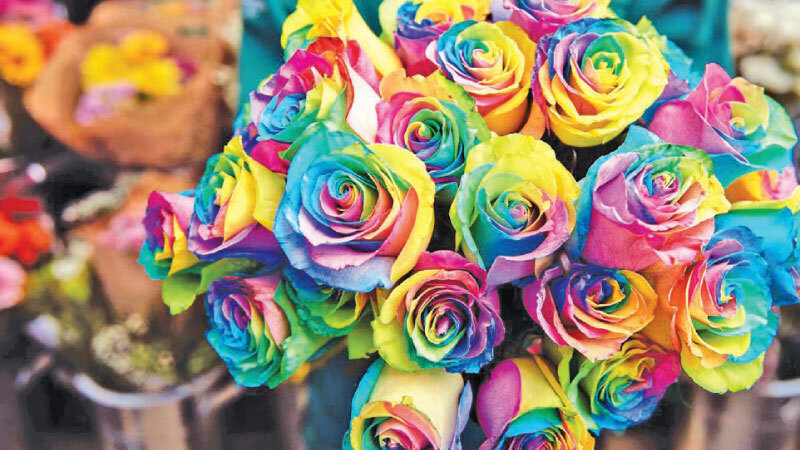 Developed by Morrisons florists, the roses have been dyed so that each petal displays the colours of the rainbow.